Jon has spent his entire career in the investment management business developing a specialty in advising institutions, families and individuals on all aspects of investment decision making, the selection of suitable investments, education and tailoring of investment strategies. He founded South Avenue Investment Partners on April 1, 2009. Prior to founding South Avenue Jon was a Managing Director at Epoch Investment Partners. He joined Epoch at its inception and founded Epoch's west coast client service and business development efforts. Prior to joining Epoch he was a Managing Director with myCFO Investment Advisory Services where he advised affluent families on all aspects of their investments and had a significant influence on the development of the investment philosophy and implementation while chairing the Investment Policy Committee. 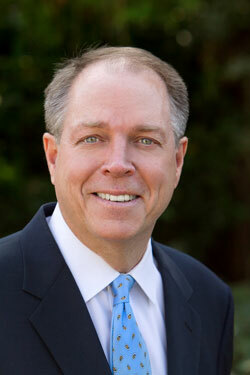 Prior to joining myCFO, Jon spent eight years as a Partner with Asset Strategy Consulting in Los Angeles. Asset Strategy tailored investment advisory services for a variety of prominent institutional and individual investors with approximately $200 billion of pension, endowment, foundation, insurance, and healthcare assets. He received his Ph.D. in Economics from the University of California, Los Angeles and has taught economics at several universities. He is a Chartered Financial Analyst, a member of the CFA Institute, the American Economic Association, member of the CFA Society of Los Angeles where he is former chairman of the Applied Behavioral Finance Committee. Jon is a Lecturer in the Department of Economics at UCLA. 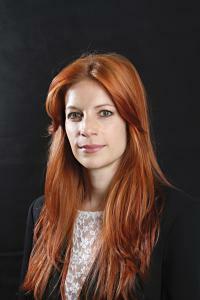 Jessica works with both consultant relationships and a variety of institutional investors. Over her many years in sales and relationship development she has demonstrated a superior ability to remain organized in what can be a lengthy sales cycle. She is a seasoned salesperson and now specializes in institutional sales with South Avenue Investment Partners. Prior to joining South Avenue, Jessica was in institutional sales for several years with Epoch Investment Partners, a New York City headquartered global equity investment manager. Jessica worked closely with Jon as they developed all west coast sales and client services for this very successful firm. Prior to her position at Epoch, Jessica worked in a variety of roles across industries including Entertainment, Real Estate Development, Advertising and Finance. She received a BA with honors from Boston College. She holds Series 65 securities license.